Hosted by Wingly, fly into Blackbushe (EGLK) on Saturday the 13th of July where we will warmly welcome you to an all-day BBQ! 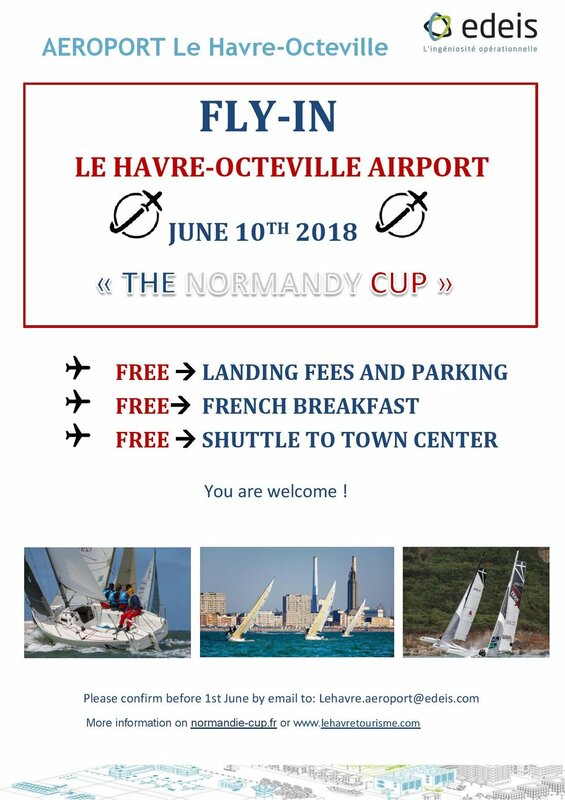 Make the most of free landing* and come along and enjoy a great day of flying. It is also the perfect opportunity to meet other members of the Wingly community. *Free landings only to registered Wingly Pilots who register their attendance with Wingly. For any pilots visiting, please remember to PPR via our online form and write in the comments that you are attending the Wingly fly-in. Our new UL91 tank is now commissioned and fuel is available for sale. It is available from the eastern end of the RFFS Building. 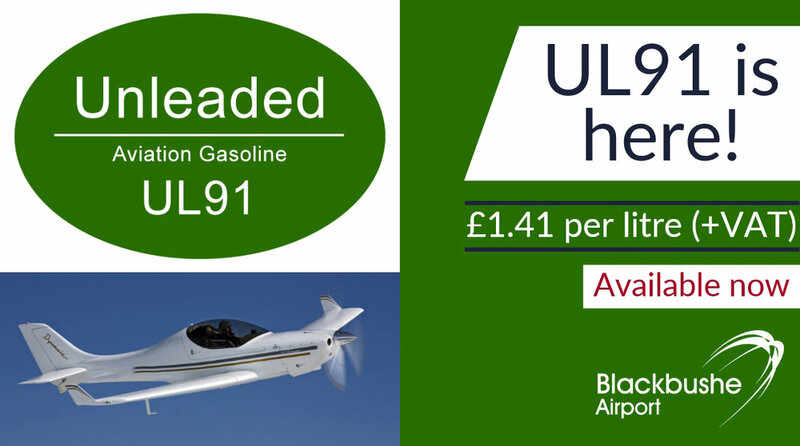 Initially we are offering this at the same price point as AVGAS 100LL, although the wholesale cost of the fuel is higher. For those aircraft who have been bringing MOGAS or UL91 from other sites, all refuelling using fuel cans brought from offsite is now prohibited. To celebrate the Easter period, drop in to Fire Station when refuelling or paying your landing fees to pick up a little Easter treat with our compliments! We would usually like to hold a Resident's meeting around now, but we've been super busy with lots of exciting projects. In the meantime, here is an update as we head into the Summer season. The inquiry starts Tuesday 2nd April; 10:00 at the Elvetham Hotel. Airport Management will obviously be occupied with this all week, but there should be no impact on usual aerodrome operations. If any members of the public would like to attend they may do so. The inquiry is estimated to run for 3-4 days. If any members of the public wish to speak, they must attend on Day 1 and make this known to the Inspector. Full details of the inquiry, and copies of the Blackbushe Airport submissions are available here. 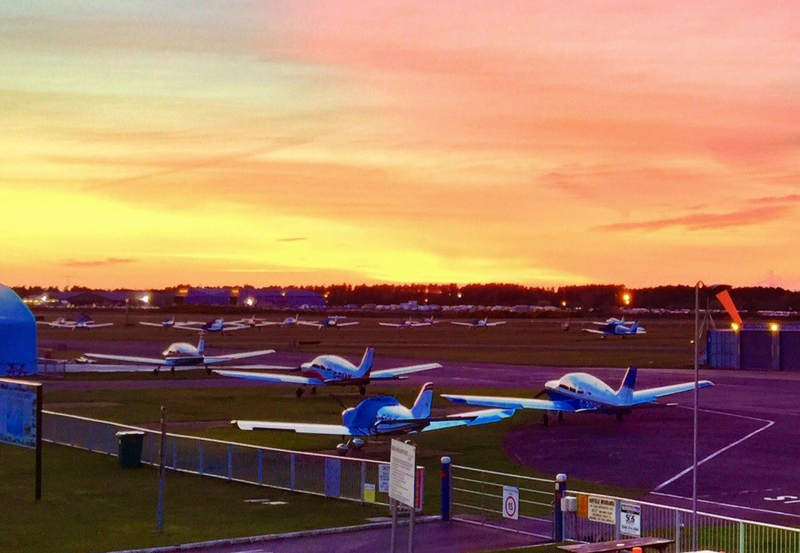 Over the winter months we've been offering an extra hour of flying for those who want to complete their night ratings or remain current, and are pleased to have seen over 200 landings as a result! Pilots must be approved for OOH operations. You must have "OOH" on your ID Badge. If you don't have it, or haven't gotten a badge yet, please come and get one from the admin office. OOH Flights must be registered with us each day before we close. Use this form to do so. No takeoffs or landings before 0700 or after 2200 local. Take your time to familiarise yourself with the policy here. Our UL91 tank arrived onsite yesterday! It holds 15,000 litres and was built to specification for us. We have a few more weeks whilst it is connected, commissioned, and tested, and hope to be able to offer UL91 fuel from mid-April - Watch this space! The Flyball Navex Competition will be held on Saturday 22nd June 2019 and is organised by Popham Airfield, in association with the Airfields Operators Group. Starting at 10:00 from any participating airfield with up to 4 hours of flying fun! You will be visiting participating airfields and concluding at Popham Airfield at 16:00 for a BBQ and prize giving. Remember you can keep in touch by following us on social media, links are on the bottom of this email. 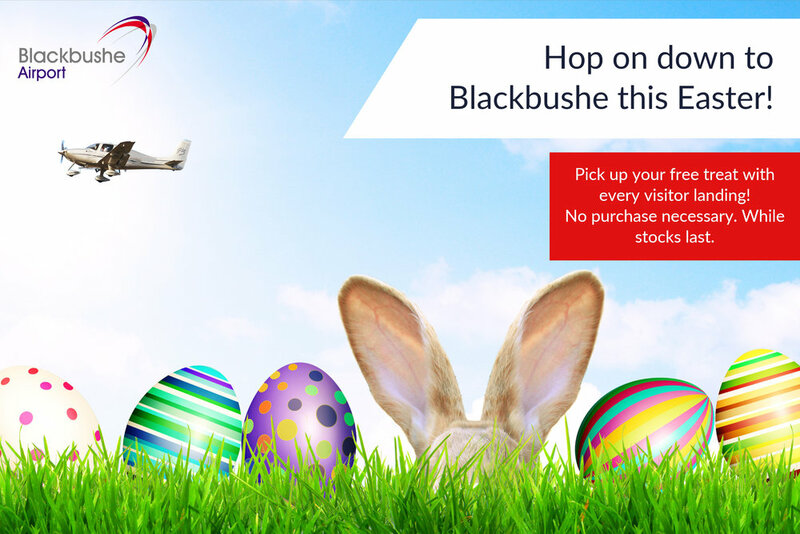 From all the team at Blackbushe, we look forward to a summer filled with airborne antics! As global fuel prices continue to fall, we are able to announce a reduction in our fuel prices! Fuelling is provided from 08:00 local, 7 days per week, or at other times by prior arrangement. We are getting into the Christmas spirit at Blackbushe! The festive season is nearly upon us. 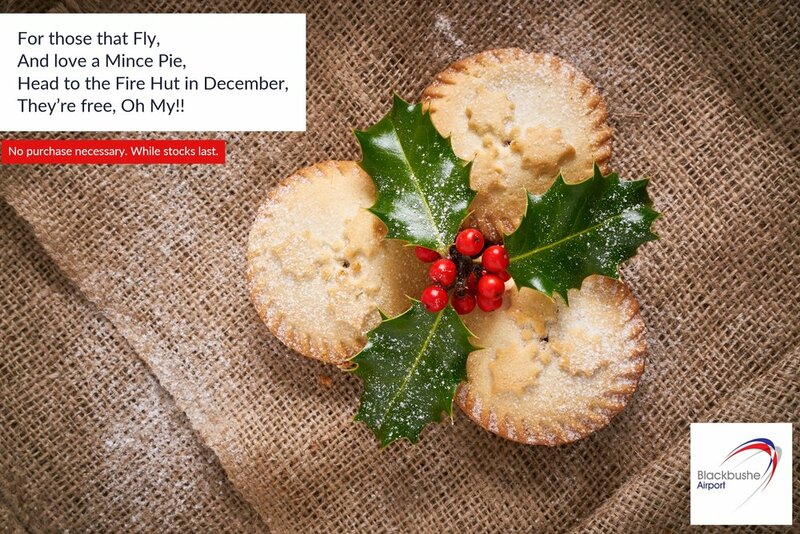 Whilst this means many airports close their doors, Blackbushe Airport remains open throughout the festive period, only shutting for Christmas Day. We are just 45 minutes from central London, and just minutes from the M3 Junction 4A. We have a comfy passenger lounge and convenient car parking just steps from the aircraft. If you’re taking your pets with you over the break, remember you can arrive into Blackbushe with certain approved operators under the government’s Pet Travel Scheme. It is the season for family, and whether that be visiting those further afield, or simply introducing your loved ones to the freedom of flight, Blackbushe is open to you throughout the Christmas and New Year period. The below table contains our opening hours. Please note the PPR requirements. We want to ensure our staff can enjoy as much time with their families as possible, therefore once pre-booked flights have been completed, the aerodrome will close and staff will go home. This information will be promulgated by NOTAM and Social Media at the time. Mon 24 Dec 0700-1230 Aerodrome will close after last planned movement. Please PPR by 12:00 on 23/12/2018. Wed 26 Dec 0900-1800 Aerodrome will remain closed if no planned movements. Please PPR by 12:00 on 23/12/2018. Mon 31 Dec 0700-1800 Aerodrome will close after last planned movement. Please PPR by 12:00 on 30/12/2018. Tue 1 Jan 2019 0900-1800 Aerodrome will close after last planned movement. Please PPR by 12:00 on 30/12/2018. There are strictly no flights when the aerodrome is closed, as usual safety processes will not be in place. We are closed on Christmas Day under our agreement to operate with local councils. The extended Winter Night Flying opening hours (until 19:00 daily) will be suspended from 24th Dec 2018 to 1st Jan 2019 inclusive and will resume on 2nd Jan 2019. Evening Extensions are available on request as usual, however these are reliant on staff availability and may not always be possible. In the Fleet & Yateley News & Mail from Wednesday 10th October 2018, a letter by Peter Brown was published which paid tribute to the roles that Blackbushe and her based airlines played in the Berlin Airlift. Reproduced here, you can read his informative letter and learn a little more about the varied history of Blackbushe. Peter Brown runs the Blackbushe: One-Stop Forum which contains all sorts of historical accounts of Blackbushe, including his popular “Photo Of The Day” thread. If you would like to learn more about Blackbushe and her History, why not buy a copy of Robert Belcher’s brilliant book? With around 250 photographs of Blackbushe in the wartime, and under the control of the Ministry of Civil Aviation, including during the Berlin Airlift period, it is a thoroughly enjoyable read. We’ve had a long glorious summer this year, and our residents have really enjoyed their out of hours flying late into the evening. As winter comes around, so do the dark evenings, and the need for an aerodrome with lighting. From 15th October 2018 to 30th March 2019, we will be open for an extra hour (until 19:00 local) each day to accommodate those who wish to continue flying in the evenings. This will be available 7 days a week, to residents and to visitors too. It will consist of an extension of the tower and AFIS, as well as our lighting (AGL). There will be no provision for Rescue Firefighting Service (RFFS) after 18:00 local. There will be a charge of £5 + VAT for each landing between 18:00 and 19:00 local, in addition to the usual landing fee. To respect our neighbours, for the purposes of noise abatement there will be no circuits or Touch & Go movements after 18:00 local. The airport will remain open past 18:00 local only if there have been movements booked in advance. Pilots must PPR by 17:00 local on the day of the flight. If there are no planned movements, then the airport will close, lights will be turned off, and staff will be sent home. Operations between 18:00 local and 22:00 local (summer time) or 19:00 local and 22:00 local (during Winter Night Flying season) are possible by prior arrangement. All Tower extensions to opening hours must be requested no later than 17:00 local on the calendar day prior to the planned operation, providing a minimum of 25 hours’ notice. A fee of £50 + VAT per hour or part thereof will apply to any operations outside of hours, applying cumulatively from 18:00 local in summer or 19:00 local in winter. This fee includes the provision of AFIS and aerodrome lighting. There will be no provision of RFFS service in this situation. Please remember to book your night flying before 17:00 local on the day of the flight. This also applies if departing before 18:00 local, but returning after 18:00 local. The airport will close, and staff will go home after the last planned movement. There are no Circuits or Touch & Go's after 18:00 local. This is due to noise abatement for local residents. The circuit height is 1,000 ft QFE during night operations. Please remember Blackbushe has a mandatory Hi-Viz policy. This is particularly important at night, as taxying aircraft cannot easily see pedestrians! Please ensure radio calls give an accurate report of your location on the ground, or in the air, as it is very difficult for the ATSU to see aircraft if positions are vague. At Blackbushe we are continually working to improve the airport facilities, as well as to encourage and support General Aviation. We’ve had a busy summer and have been pleased to meet and talk to many GA pilots, both at AeroExpo, and also those who have taken advantage of our discounted landing fee vouchers in Flyer Magazine, Microlight Magazine, and the LAA Magazine. We’ve listened carefully to the feedback and have understood that cost is a big factor in deciding where to visit. We are therefore pleased to announce a reduction in our visitor landing fees effective immediately. The price reductions represent a 38% reduction in the landing fee. A further 20% discount is offered when uplifting 30 litres of fuel. AVGAS 100LL is currently competitively priced at £1.80 including VAT. Since under new ownership, Blackbushe Airport has taken steps to encourage General Aviation. This has included the introduction of a <750kg price band, as well as reductions for Landing and Parking cards. The new price list brings visitor landing fees down to a level not seen at Blackbushe in over 15 years. We hope these efforts encourage new aircraft and pilots to benefit from the excellent facilities and great service on offer. Please remember to PPR in advance, by using our simple form, or by giving us a call. For our full price list, please click here. Air BP, the international aviation fuel products and service supplier, has renewed its fuel supply contract at Blackbushe Airport (BBS/EGLK) in the UK, effective immediately. Air BP will continue to supply Jet A-1 and Avgas 100LL. Customers will be able to use their Air BP Sterling Card to purchase fuel, in addition to ordering and paying for fuel via the RocketRoute MarketPlace platform. Air BP has been supplying Blackbushe since 2012 and during this period has invested in the installation of a new fuel storage facility and two new fuel bowsers. 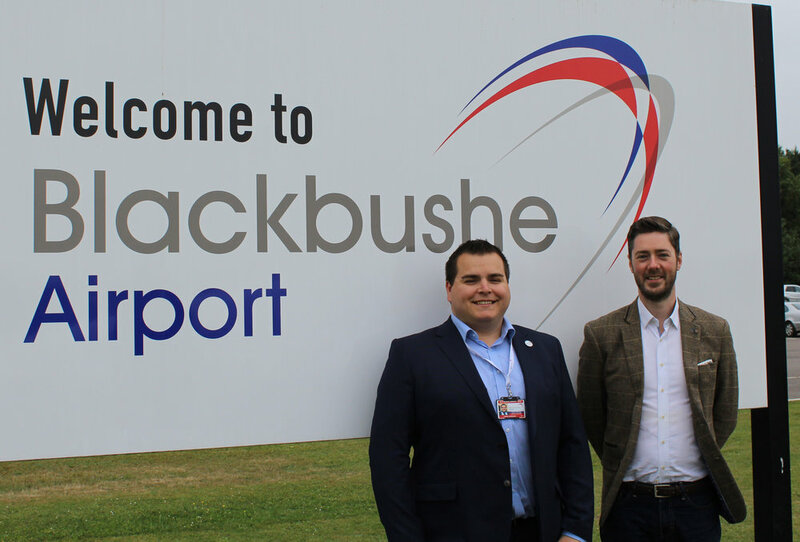 We are very pleased to continue to supply Blackbushe Airport demonstrating our continued commitment to our general aviation customers in the UK. We look forward to deepened co-operation between our team and that of the airport and to welcoming our customers this summer. Maintaining a robust and safe fuelling operation is critical for any aerodrome, and I am pleased that this will continue at Blackbushe in collaboration with Air BP. Their service and equipment quality has been second-to-none. We were supported in our previous contract, benefitting from the much-needed investment in the fuelling facilities. We can continue to deliver an excellent quality product. We are excited to continue to welcome Air BP Sterling Card holders. Conveniently, Air BP can provide Avgas from the airport’s fuel storage facility, or both Avgas and Jet A-1 on stand from Mercedes mobile bowsers. Introduced by Blackbushe in late 2017, Rotors Running Refuelling for helicopters is available by prior arrangement, enabling faster and more efficient refuelling. Customers can refuel at Blackbushe Airport from 08:00 local time, 7 days per week, or at other times by prior arrangement. It offers convenient access to the capital being located just 40 miles from Central London on the borders of Hampshire, Surrey, and Berkshire. Blackbushe handles over 20,000 movements each year comprising a mix of training aircraft, general aviation and business aviation traffic. The 6th June. D-Day.... At Royal Air Force Hartford Bridge the scene of frenetic activity. "Gentlemen, from this moment Hartford Bridge is on standby. You are confined to quarters." These were the words from Group Captain MacDonald on calling the base together, the first indication that D-Day was under way. The invasion of Europe was about to begin. Contact with anyone off the airfield was not permitted. Overhead the columns of glider-towing aircraft were relentless, on the ground there was activity wherever you should look. On the evening of 5th June black and white stripes had rapidly been applied to fuselages and wings, smoke cylinders attached, all the messes were closed by 1800. Anticipation was at fever point. 342 Squadron, Free French Air Force..."nous sommes préparés". Thank you to Peter Brown for sharing and for ensuring the important history of Blackbushe is not forgotten. Find out more about the history of Blackbushe on Peter's website 'Blackbushe Airport - The One Stop Forum'. You will need to set up a free account to view the content. Blackbushe Airport is pleased to announce a reduction in the AVGAS 100LL price from Thursday 17th May. The new price reduces the cost of fuel by 17 pence per litre from that offered throughout 2017, and represents a significant saving for residents and visitors alike. This further builds on our commitment to General Aviation, and has been achieved by careful negotiation with fuel suppliers, and a re-organisation of the fuelling setup behind the scenes. Blackbushe Airport is able to provide AVGAS fuel from either the fuel storage facility, or from a Mercedes mobile bowser on stand. JET-A1 is provided on-stand from a Mercedes mobile bowser. Rotors Running Refuelling was also introduced in late 2017 and can be provided to rotary traffic by prior arrangement. Blackbushe Airport is open from 07:00 – 18:00 local, 7 days per week, with evening extensions possible between 18:00 and 22:00 local by prior arrangement. Fuelling is provided from 08:00 local, 7 days per week, or at other times by prior arrangement. Visiting aircraft uplifting 50 Litres of AVGAS 100LL benefit from a half price landing fee. Blackbushe Airport is located on the borders of Hampshire, Surrey, and Berkshire, and handles over 30,000 movements each year. This consists of a mix of training aircraft, General Aviation, and Business Aviation traffic. Phoenix Helicopters will be holding an Open Day on Sunday 20th May 2018. A Fly-In for anyone that would like to attend - half price landing fees! Blackbushe welcomes Microlights back to the Airport! Blackbushe is pleased to announce that microlights are now able to operate at the airport. Microlights were banned from Blackbushe in July 2017, but we are excited to announce that this decision has been reversed, effective immediately. Why were they banned in the first place? Every airport is unique and has its own challenges. At Blackbushe, we welcome a wide variety of aircraft types and sizes, as well as differing operation types, with GA enthusiasts, flying schools, private flights, and public transport flights. Managing the mix of these aircraft, particularly during busy times can be challenging, and safety is of the utmost importance. Managing the circuit can at times be demanding, and with noise abatement areas to the North, West, and East, the circuit pattern we have available to use is limited. Following the Phenom Accident in 2015, a decision was taken by previous management to ban microlight aircraft from the aerodrome. This was a fairly broad stroke and did not consider all of the factors at play; including the similarities that many microlight aircraft have with other aircraft that were still permitted to operate. With the new management team in place from late 2017, we undertook to review the previous decision, and put together a robust risk assessment for the re-introduction of microlights. This analysis concluded that any risk associated with microlight aircraft over any other type was negligible. It did highlight areas where we will be endeavouring to develop our circuit procedures. We will also improve information in order to provide better segregation of traffic, and clear processes for managing the introduction of a faster jet or turbo-prop aircraft to the circuit alongside slower GA aircraft. We will be working through these with our resident flying schools and will communicate any changes when they have been finalised. We are currently in the process of investigating how we can provide UL91 to our microlight customers. We will update you once we have a suitable solution. If you'd like to visit Blackbushe with your microlight, please use the online PPR form. De-registration of active airfield from common land. Last year, plans were submitted to Hart District Council for the future development of Blackbushe Airport. These plans outlined the proposal to build new hangars, offices and a replacement Terminal facility on the south side of the airfield, adjacent to the A30. When this development proposal was presented to both Hart District Council and later to the Blackbushe Airport Consultative Committee, it was met with a favourable response. However, one concern that was raised in both meetings was the need to also satisfy the requirements of the Commons Act 2006. 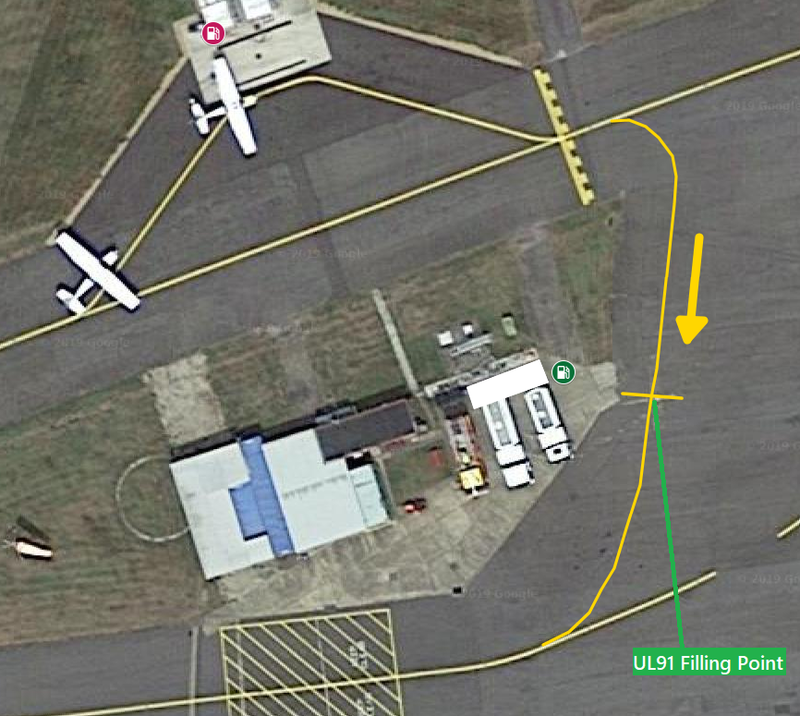 Since then, the Airport has being reviewing these requirements and has determined that the only satisfactory way of doing this, is to seek to de-register the land that the airfield occupies, (see the map at www.blackbusheairport.co.uk/vision, the airfield boundary is shown in as a dashed red line). De-registration of the land that the airfield occupies would allow the building works to proceed. The area subject to the common land application, (the actual airfield), is the part of the land over which there is no free access to the public. It is an active airfield and safety concerns and requirements clearly prevent any uncontrolled access. The application area does not include the area to the north of the earth bank boundary. This is the area of the Common to which the public have enjoyed free access for many years, and includes the disused runways. There are no plans to apply to change this. In recent years, Blackbushe Airport has actively managed this area, in partnership with the Hampshire and Isle of Wight Trust, for the good of the Common. This will continue. In summary, the Airport only seeks to re-develop the airfield itself, to provide better facilities and to generate future employment for the area, without having a detrimental impact on the local community and its recreational activities.